Discover our range of space saving, a range of smartly designed furniture to optimize every square meter of your home! 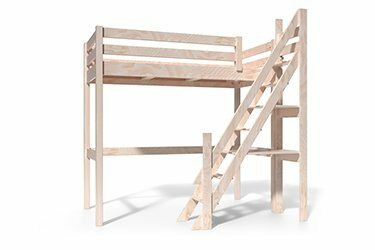 Take the height and sleep 2 to 3 people in a small space with our bunk beds, or enjoy a space under your bed thanks to our mezzanines, our products adapt to your needs. To save space, opt for our foldaway beds from a single bed to two beds in just a few seconds. Our mezzanine beds, pull-out beds, bunk beds and our compact beds are exclusively made in France and respectful of the environment. Customize your product according to your tastes with our many amenities and colors available! Discover our range of Mezzanine Beds Adult and Child in Solid Wood. Manufactured in France in our workshop, our mezzanines are available in several widths and colors. Customize your mezzanine by choosing from various types of access, accessories, dimensions. All finishes are to eco-friendly water varnish. Discover our range of Bunk Beds Adult and Child in Solid Wood. 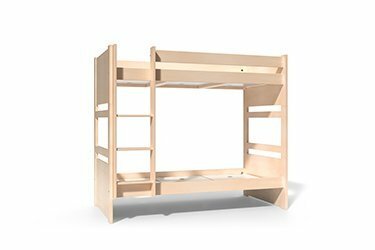 Manufactured in France in our workshop, our bunk beds are available in several widths and colors. Transformable in 2 beds, with straight or inclined ladder our range is available in many colors with eco-friendly varnish. 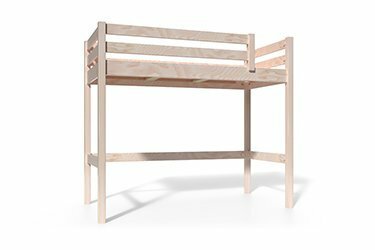 Rugged and durable, our bunk beds comply with current safety standards. Discover our range of High beds and compact beds for Children in Solid Wood Manufactured in France in our workshop. Available in several widths and colors. 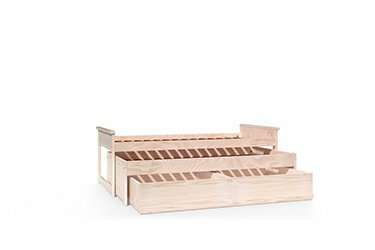 Discover our range of pull-out beds Adult and Child in Solid Wood Manufactured in France in our workshop.